Minor wear. 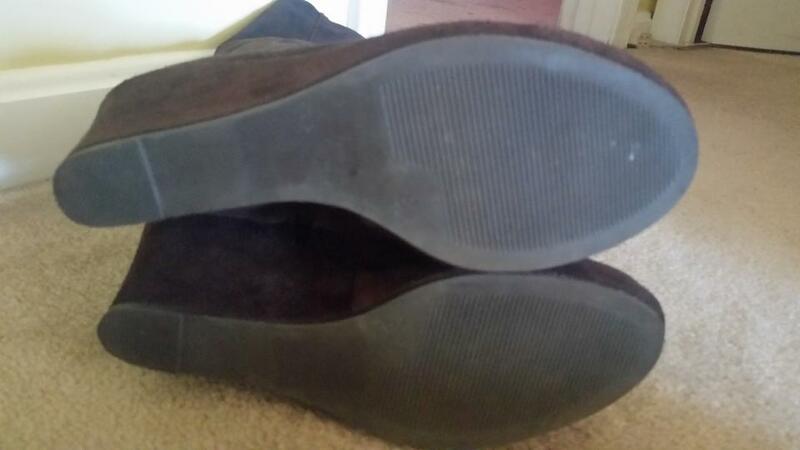 Sole scuffing and minor scuffs. 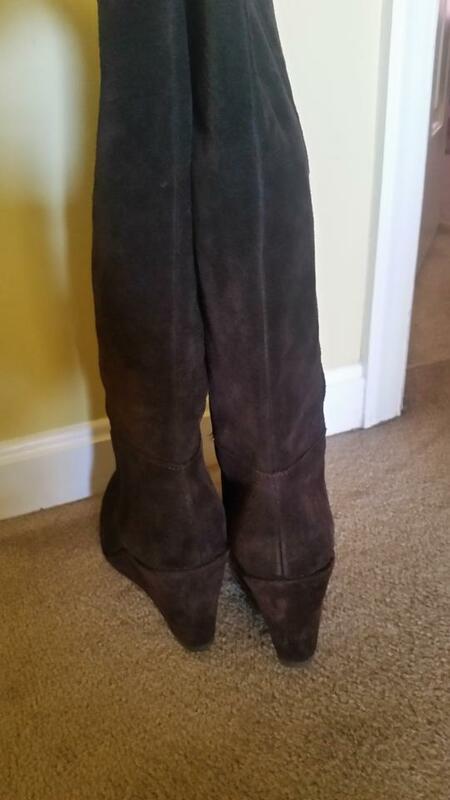 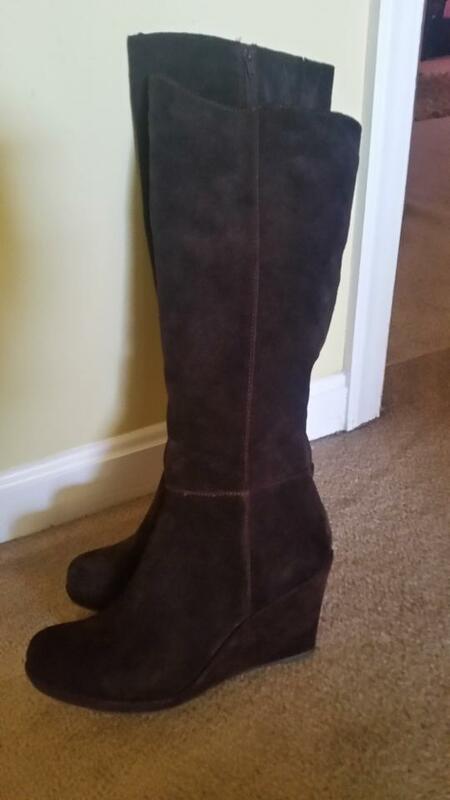 Pair of pre-owned chocolate brown suede wedge heel tall knee high boots. 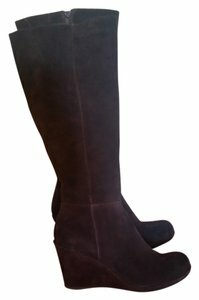 Boots are very comfy and made by Bjorndal european brand. 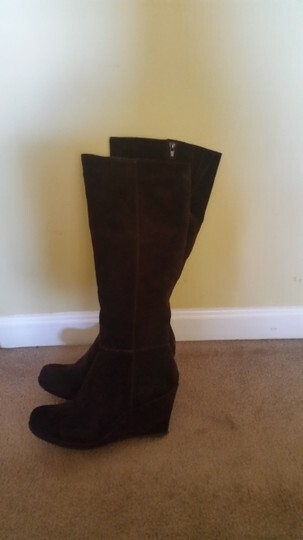 Has rubber soles and lined padded foot bed.